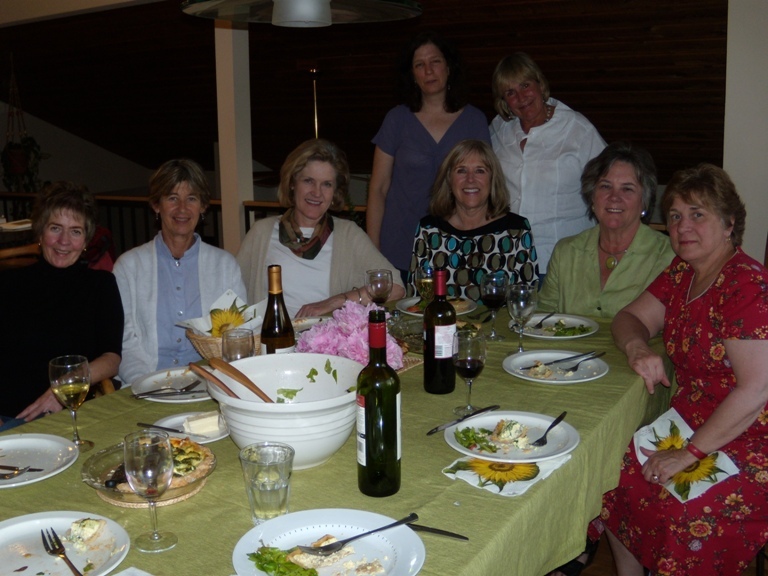 My lovely neighbor, Susan, is in an equally lovely book club in our utterly lovely town. Although all the ladies work or have worked for The City of Boulder, I must say, they did an admirable job of not discussing super-duper, top secret government business when this Royal visited. One of the ladies wanted to know if I the descriptions of myself in QUEEN OF THE ROAD were accurate. So, I told her what our contractor, Chris Legault (who, through no fault of his own, has been working on the house off and on for several years) said when he read the book: "Wow. You're really honest about yourself." Keep in mind, Chris is probably the one man in the world who has seen me in my PJs even more than my husband has. You might think everyone in Boulder is an outdoorsy, hiking type. So, I was not surprised when the ladies asked if, after our year-long RV journey, I was now more into hiking. Nope. I still only hike with Tim about once a year - just to remind us both why I don't do it more often. I also mentioned that I really still didn't get the whole hiking thing - hours of climbing just to see more trees (they all pretty much look alike, anyway) or, to get to a view you'll appreciate for all of five minutes. Every lady but one laughed. She completely agreed with me. But, get this - she's not just any lady: She's the former Mayor of Boulder. 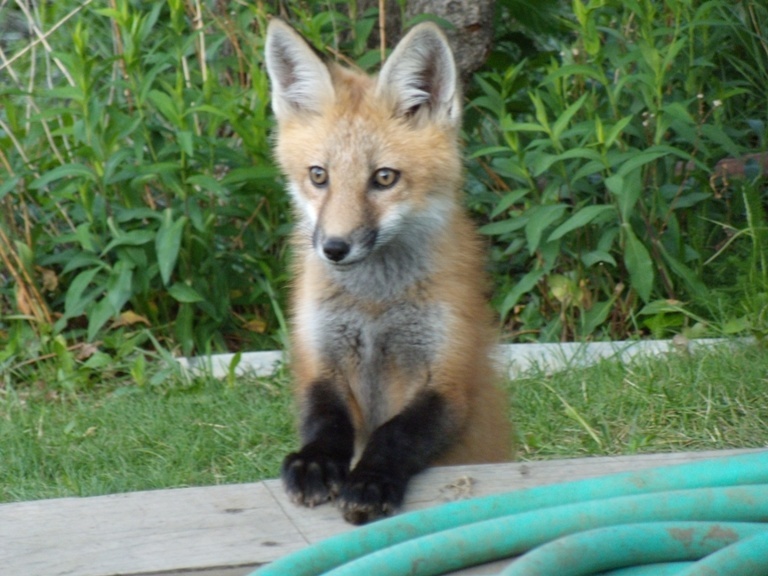 In this fabulous book club's honor (they even go on a retreat together every year) I shall leave you with another fox photo from my yard. (I've taken many more since the last post. I can't help it. Have you ever seen such utter adorableness in your life?) I'll be posting the rest soon. "Ah... this Queen doesn't do fox hunts, does she?" This page contains a single entry from the blog posted on June 26, 2009 12:15 PM. The previous post in this blog was Newport Coast Book Club. The next post in this blog is She Hates Me.